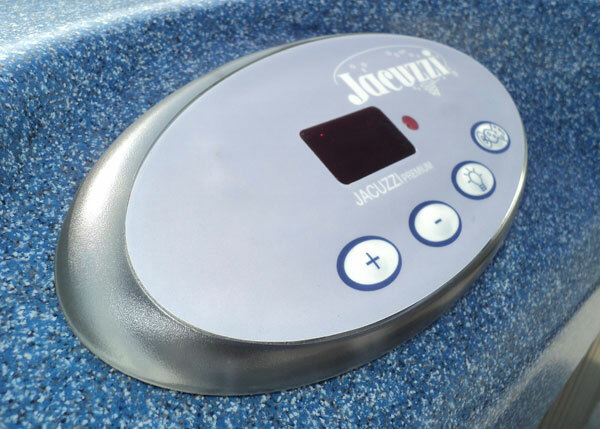 This is a Jacuzzi® Premium Spa topside control panel we installed in Yorba Linda, CA. This is an LA Spas digital control panel we repaired in Anaheim, CA. This is a Hydro-Quip "Smart Choice" spa control panel we installed in Costa Mesa, CA. This digital topside control panel features an LED display and 6 button control. 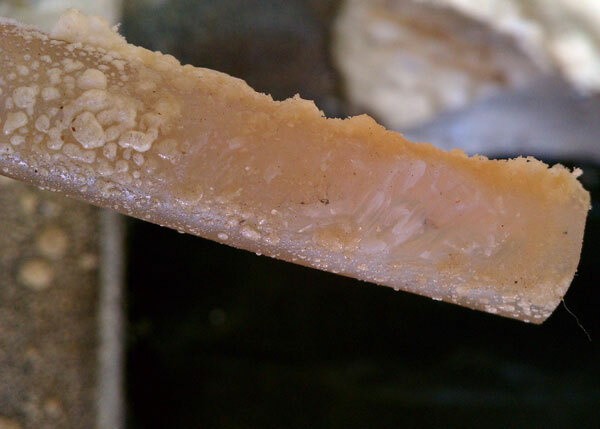 This is from a recent spa plumbing repair in Orange, CA. 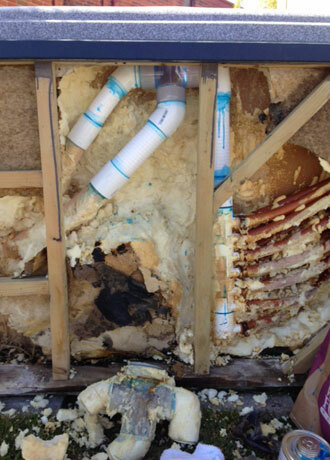 A rodent chewed through the PVC air line tubing causing a plumbing leak. This is a Cal Spa repair in Costa Mesa, CA. This was a primary pump shaft seal leak. This is a Waterway Executive Style Pump. We replaced the entire pump wet end and we were able to salvage the motor. 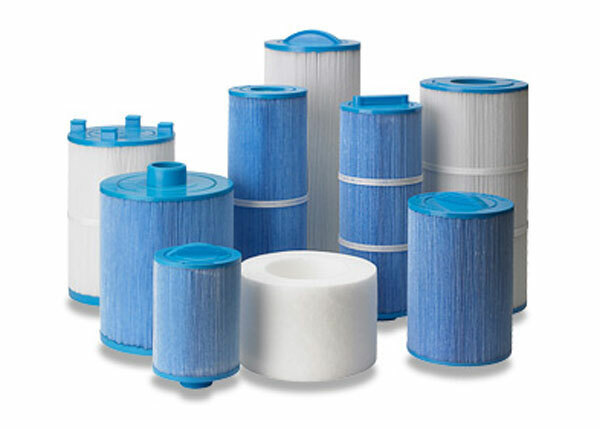 These are some of the spa filter replacement cartridges we deliver to our customers in Orange County, CA. 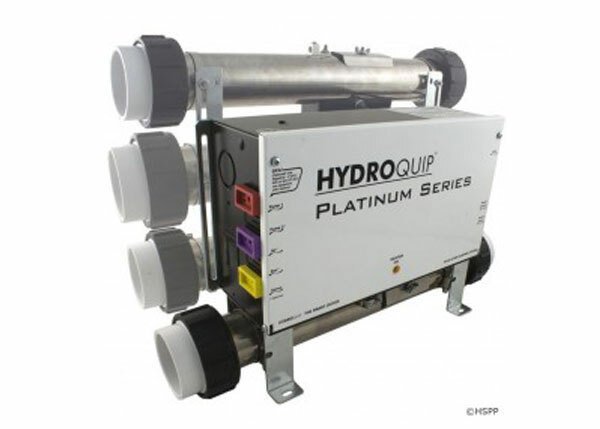 We install these new filters for efficiency and to improve the quality of your hot tub's water. 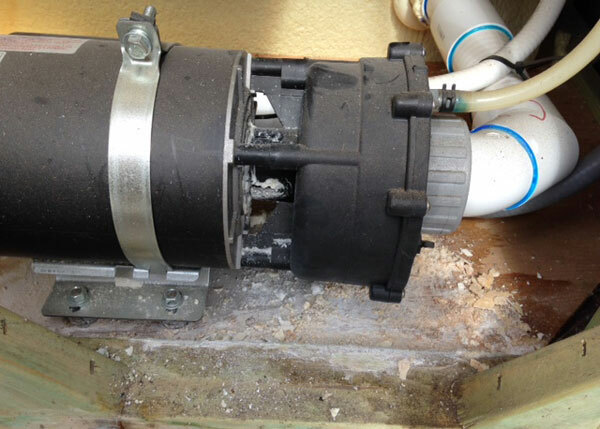 This is a hot tub circulation pump repair we did in Corona del Mar, CA. The circulation pump's impeller wasn't spinning so we replaced it with an energy efficient model. 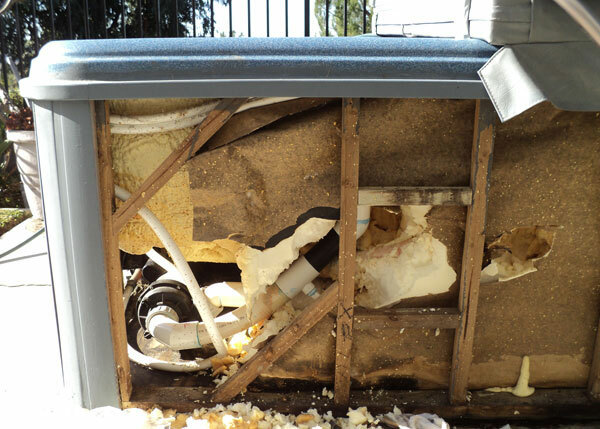 This is a Jacuzzi Premium Hot Tub repair we did in Placentia, CA. We replaced the O-ring seal, secured the fitting retainer nut and reinforced the PVC pipe. 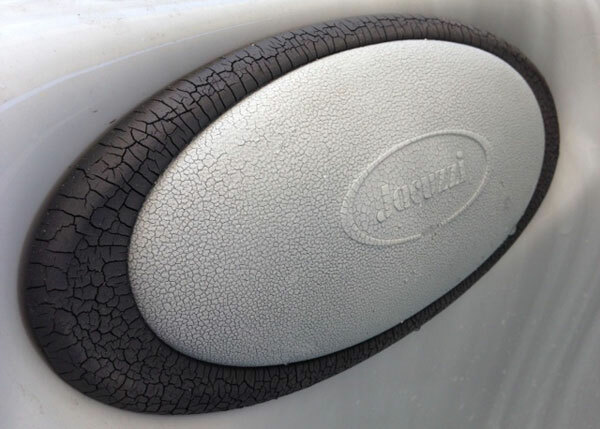 This is cracked spa pillow we replaced in Laguna Beach, CA. 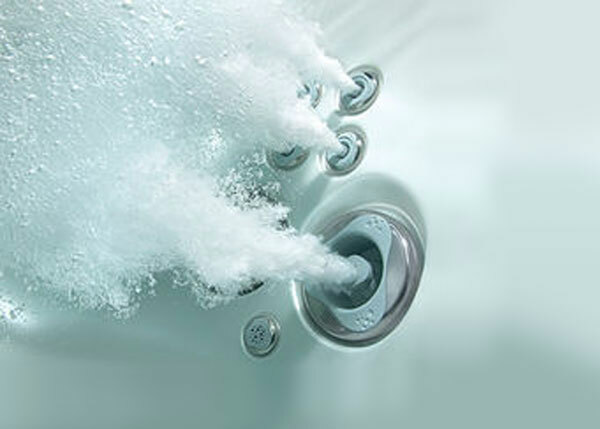 We deliver and install a variety of spa accessories. We offer a large variety of spa therapy massage jets. 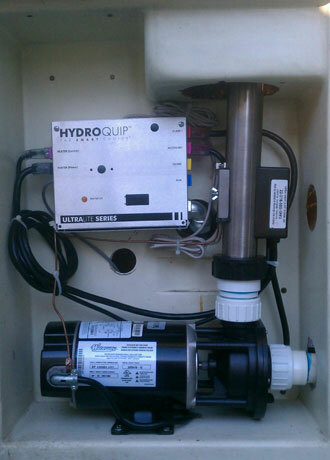 This is a Hydro-Quip Spa Controls installation we did in Costa Mesa, CA. We upgraded the spa controls and reconfigured the equipment layout so it would perform more efficiently. 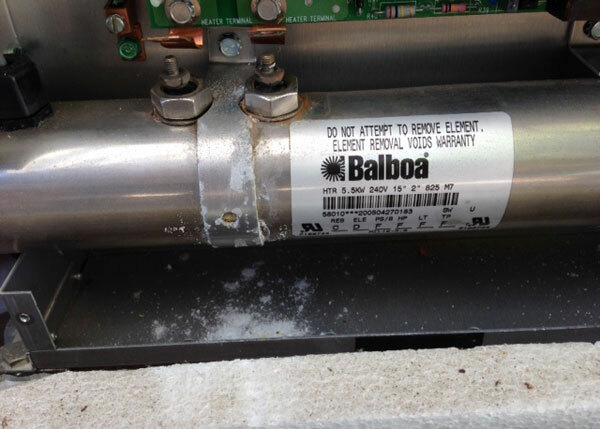 This a Balboa Instruments stainless steel flo-thru heater replacement we did in Aliso Viejo, CA. This is a Sundance Spas repair we did in Costa Mesa, CA. 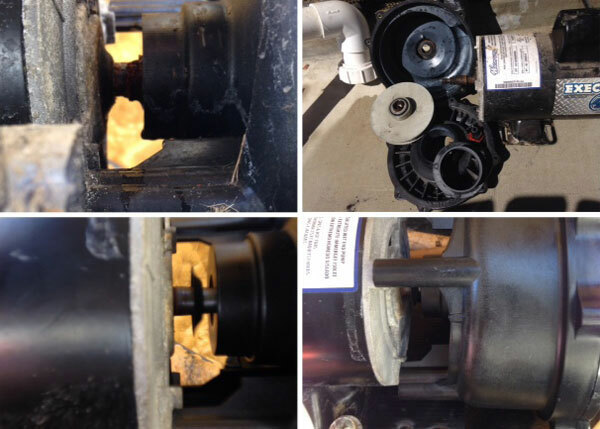 The hot tub pump shaft seal had a leak, which caused motor bearing damage. 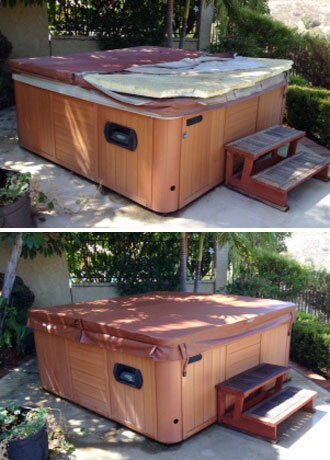 This is a recent Sundance Spas repair in Laguna Niguel, CA. The spa had a filter fitting leak, which required a filter wall fitting, flexible PVC pipe and miscellaneous PVC fittings. 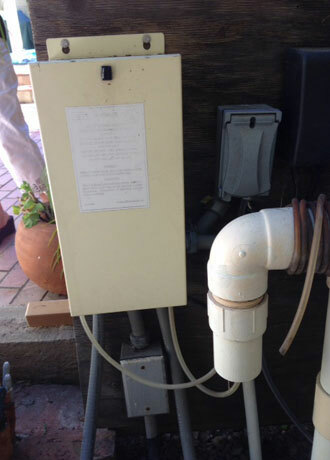 This is a complete pneumatic air button style spa equipment system repair we did in Seal Beach, CA. This is a complete spa equipment system repair we did in Seal Beach, CA. 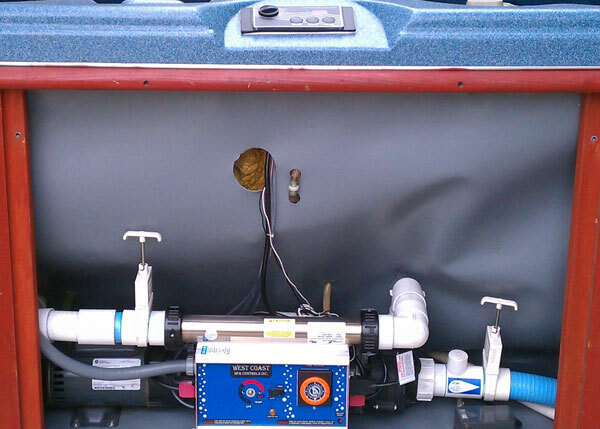 We installed a new control system, a primary pump and a booster pump. 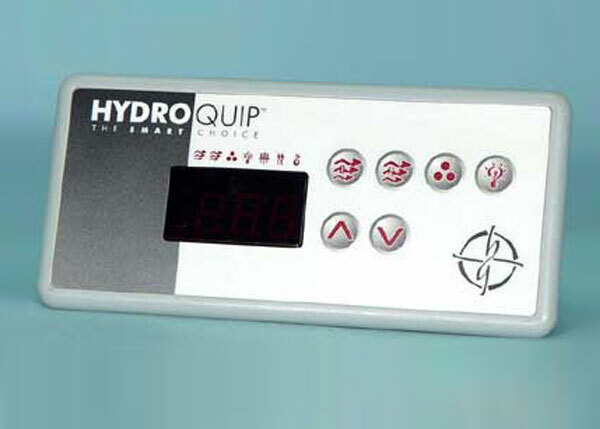 This is an electronic Hydro-Quip spa control system. We used this Hydro-Quip model because of it's adjustable sliding heater technology, which offers the ultimate installation flexibility. This is after the spa repair in Huntington Harbor, CA. 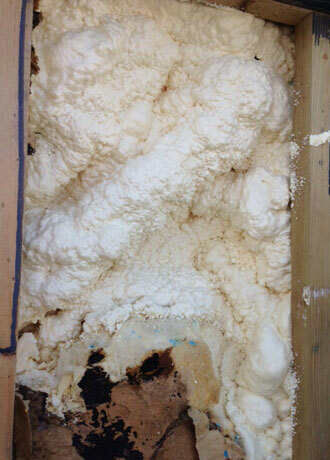 We secured the spa's new plumbing by using an expanding foam insulation spray. 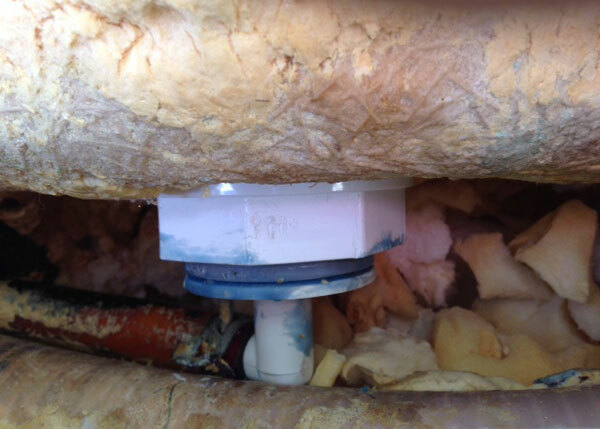 This is a recent spa plumbing repair we did in Huntington Harbor, CA. 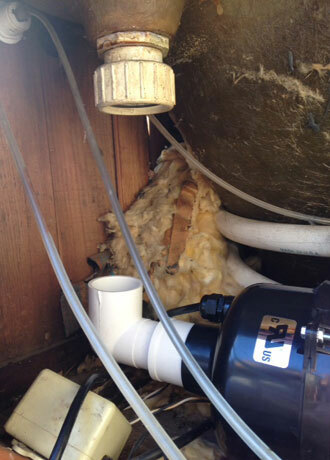 This Sundance Spa had a cracked diverter valve and needed to be replaced to prevent water loss. 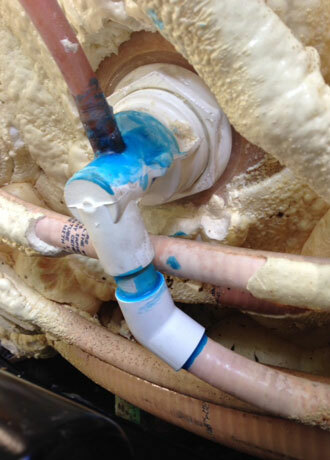 This is a recent Hydro Spa plumbing repair we did in Downey, CA. 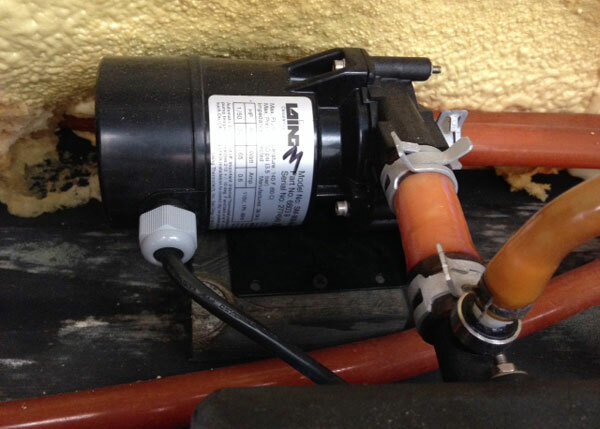 We installed a new spring check valve to prevent water from flowing back into the air blower. This is recent in ground spa repair we did La Palma, CA. 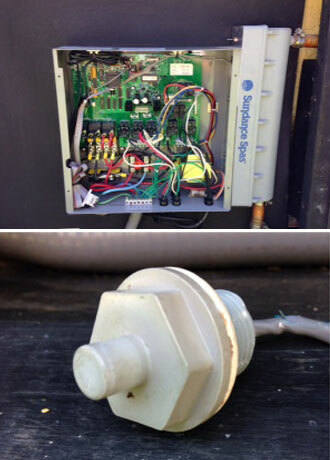 The hot tub's equipment controls had a mechanical failure, so we upgraded the control system. 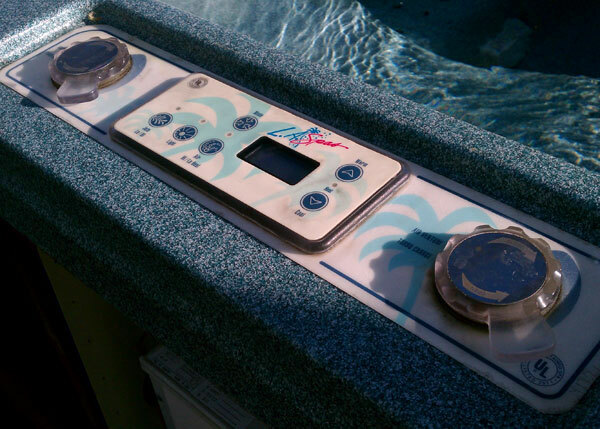 This is a custom designed spa control system we rebuilt for our customer in Long Beach, CA. 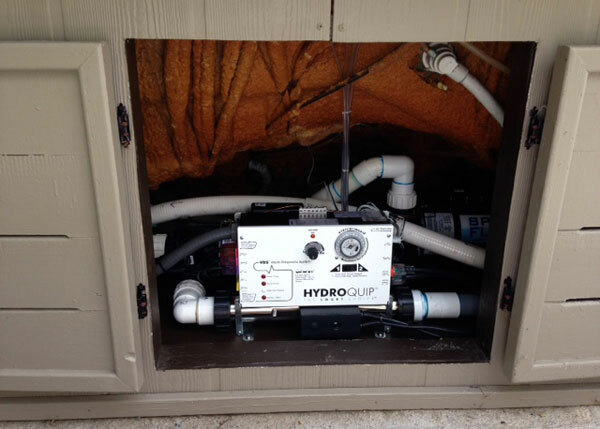 This hot tub renovation includes a Hydro-Quip digital control panel, Aqua Flo pump and a Waterway air blower. This is a spa leak repair we did in Newport Beach, CA. 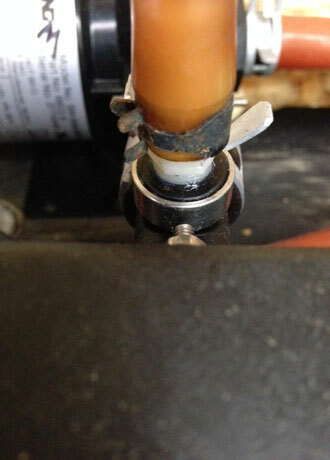 We located the leak and replaced the heater's barb fitting and used silicone to seal the threads. 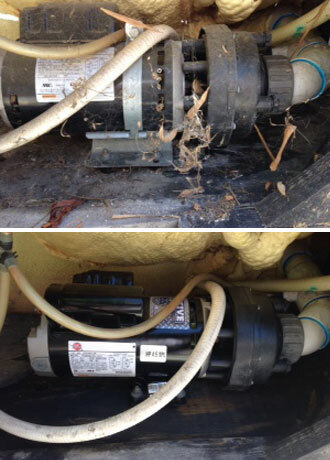 This is a before and after picture from a spa pump replacement in Costa Mesa, CA. The spa's primary pump was making noise due to a leaky shaft SEAL and damaged motor bearings. 2003 Sundance Spas "Altamar" model with circuitry repair needs. 850 series circuit board with faulty temperature sensor. Pictured is the circuit board control box and the faulty temperature sensor. This job was performed in Huntington Beach. This is spa repair we did in Tustin, CA. We had a plumbing leak at the jet glue joint pipe socket, so we cut and peeled the flex pipe out of the jet back socket and replumbed using PVC pipe fittings. This is a before and after picture of a custom fitted spa cover. Please note the expertly fitted skirt with the safety tie downs. We have an older spa that fits us perfectly; I thought it had seen it's last days of operation. Jim took the sides off the spa and started looking for the problems, he found several. In less than an hour he had diagnosed the problem, fixed it and at an unexpected low price he saved the old girl. Our Diamante Spa 2003 that has been restored in less than an hour. This was amazing workmanship considering that we had several repairs prior that were wired incorrectly. He fixed the old girl and she is running perfectly...Thank you so much Jim.